Say hello to simple charter bus rentals in Pittsburgh! 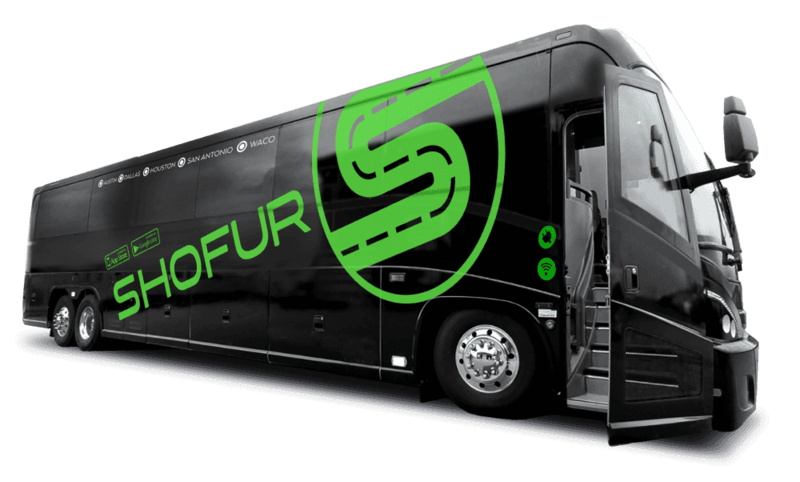 Shofur has access to the most buses in Pennsylvania and beyond. Whatever the occasion or size of your group, we'll arrange a fleet of clean, reliable buses for you. Our state-of-the-art reservation system makes reservations possible within seconds. Contact us any time to get a free quote! Planning a conference or wedding in Pittsburgh? Arrange for a charter bus or minibus to pick up and drop off your attendees for their convenience. We’ll help you coordinate on-time shuttle services to corporate venues like the David L. Lawrence Convention Center or wedding venues such as Green Gables. Provide your guests with bus transportation options to help streamline their travel plans and prevent anyone from arriving late (or worse--getting lost!). With on-board amenity options like WiFi, your corporate passengers can stay productive by checking email and industry news. For wedding guests, reclining seats and ample legroom help create a comfortable experience on your big day. Pittsburgh’s full of great destinations for field trips and other educational tours. For example, the Phipps Conservatory is a popular stop for students and teachers. It’s not only one of the best botanical gardens in Pennsylvania - rivaling even Bartram's Garden in Philly - but perhaps in the entire country. The parking lot has plenty of convenient bus parking, so feel free to bring multiple student groups here for a unique experience with nature. The Carnegie Museum of Natural History also attracts bus loads of students from across Pennsylvania. Your class can explore the exhibits, learn about dinosaurs, and gain a new appreciation for history. We’ll help you reserve enough buses to accommodate your entire class, grade level, or school. If you and your traveling party would like to enjoy the most breathtaking view in all of Pittsburgh, there's no better place than Mount Washington. This historic vantage point offers the best view of the city skyline. We recommend stopping on Shiloh Street for an authentic Pennsylvanian experience. Try some of the local craft beers or get a cone of local ice cream while you enjoy the view. With plenty of convenient bus parking, The Strip is a must-see destination in the Steel City for anyone who enjoys an afternoon of sightseeing and shopping. You and your group will find local eateries, craft stores, and sports memorabilia shops. Your driver will be more than happy to take you to each destination on your itinerary, and you can keep your personal belongings and purchases on the bus for safe keeping. NFL fans will be delighted by the modern stadium found at Heinz Field. It’s home to the Pittsburgh Steelers as well as the University of Pittsburgh’s football team, the Panthers. Your driver can drop your group off at the stadium and park at the Reinholds Lot a few blocks away. This way, you won’t have to deal with the hassles of public transportation or carpooling to the game. If baseball is your favorite sport, head to PNC Park to see the Pirates play! The city’s skyline surrounds the stadium, making it an even more exciting experience for Pittsburgh’s first-time visitors. Seeing a game at PNC Park is a great way to experience your favorite sport in real time, and all of your companions are sure to appreciate the opportunity to arrive in comfort. Whether you're in Pittsburgh on business and need a convenient way to transport your entire staff from one location to another, or if you want to explore the Steel City with your family and friends, we can help make your bus rental as smooth as possible. The buses we charter are large, luxurious, and always well-maintained so that you’ll get to your destination on time and in total comfort. We welcome you to call one of our helpful agents today at 1-800-436-8719 to learn more about this exciting and affordable mode of ground transport. Can you get us any wheel chair accessible charter buses in Pittsburgh? How many wheelchairs can each bus fit? ? We can get wheelchair accessible charter buses as long as operators have availability. Usually each charter bus can fit up to 2 wheelchairs.